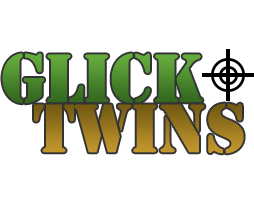 Glick Twins Inc. carries the largest selection of guns in South Texas. Our team of firearms experts can help you pick the one that’s right for you. Choose a category below to see some of the brands we carry. In order to buy a handgun you MUST be at least 21 years of age. In order to buy a long gun you MUST be at least 18 years of age. To purchase ANY type of firearm, you must have a current, valid, Texas Identification Card or a Texas Drivers License. Resident aliens must also have a valid Alien Registration Card. The buyer MUST complete a firearms sales form called a 4473. If the buyer HAS a valid Texas concealed handgun license, this info is put on the form and the buyer then proceeds directly to check out. If the buyer DOES NOT have a valid concealed handgun license, A BACKGROUND CHECK MUST BE DONE. This only takes a few minutes. If we receive a “Proceed” response from the FBI, then we can complete the sale. If we receive a “Delay” response from them, the firearm can be put on lay away (and held so no one else can purchase it) until the 3 business day waiting period passes. Sometimes the FBI responds sooner than 3 days at which point we will call the customer so the sale can be completed.